The humble business card is a great direct marketing tool. It’s an essential component for building your brand and gaining new customers. It’s shareable, durable and can leave a lasting impression (good or bad). So how do you guard against ending up with a business card that doesn’t cut the mustard? We have a wealth of experience in creating quality cards, and have trawled the web for some facts and inspirational cards to help you master business cards once and for all. 1. In China, business cards are received with two hands but can be given with one. 2. In Japan, the highest ranking people will always exchange their cards first. 4. 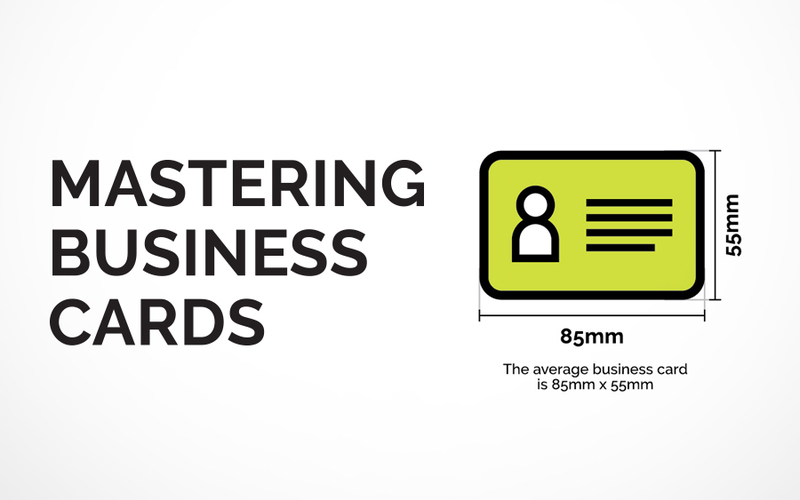 The annual revenue for business card printing in the US is estimated at £654,536,521. 5. Prospects will hold on to a coloured business card up to 10x longer than a plain one. 6. Business cards, calling cards or ‘Meishi’, originated in China in the 1400s. 7. 59% of people wouldn’t pay more money for an expensive business card even though they bring you in more money. 8. 12% of business cards handed out will be kept for longer than a week. Don’t think the quality of you card matters? Then watch Christian Bale’s character Patrick Bateman in the iconic scene from American Psycho! You can go online and use one of the numerous online printers to create a business card for a bargain price. However, an inferior price often leads to an inferior product. Poorly produced with pastiche design. If you want your business cards to carry some clout then follow our top design tips and create your own. Be creative, include features that stand above competitors! – see below for ideas! Only include information that is clear, concise and relevant. You have a limited amount of space, don’t clutter it just because you can! Keep the colours consistent with the rest of your branding for instant recognition. There’s nothing worse than a business card with information on it you can’t read. Keep the point size up and the irritation levels down. Borders and business cards don’t mix for purely practical reasons, if the printer is not aligned perfectly you may end up with a lopsided card. Don’t mix up your styling from front to back. One card, one vision. A quality printer can help you achieve the best results on your business card. Is producing quality cards expensive? Well, yes it can be, but perception is everything and your business card is arguably your most prolific print marketing asset and should scream I’m better than everybody else – you should be doing business with me! Pictured above is the G.F Smith paper sample book, called ‘The Collection’. At around 120mm in thickness it is jammed packed with different paper samples you could potentially use on your business card, with amazing coloured paper stocks from the vivid neon of ‘Nuclear Acid’, to the tactile strength of ‘Rhinoceros Wild’. You can duplex to combine two stocks print on one side and foil on the other – The options are almost limitless. Mini cards or slim business cards can pack a big punch in a small package and create an impression just by being different to the standard. The best thing about print is its tactile, soft touch laminates add texture of velvet, is a relatively cheap option that will add sophistication to your cards. If you’re looking a for something a little different but not overly extravagant, rounded corners could be a cost effective solution. A relatively new technology in digital printing, it combines the effects of spot varnish and embossing to allow for intricate design possibilities. Who said you had to have one design for all your cards. Why not mix it up with multiple designs its a great way to show off products or your portfolio. Combining different paper stocks adds thickness and creates subtle colour variants to the edge of your cards. Die cutting allows you to punch out different shapes in your business cards giving you endless possibilities for unique variations. The raised details of an embossed business card add luxury and quality. An expensive technique for a truly quality card. Foil stamping is a specialty process that allows for designs to shine! Combine the effect with specialty papers and you have a truly unique cards the screams quality. But to have a truly memorable card some creative thinking is in order – Here are some fantastic examples we have found online to demonstrate that point.